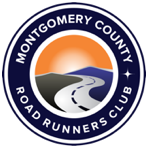 Welcome to the Seneca Creek Greenway Trail Marathon & 50K! Please read below for more information on the location, course, and post-race. Registration: Registration is open. Online registration closes at 5am race day but you may do walk-in registration the morning of at the registration tent. Individual runners choose at the decision point (~27.7 miles) to finish the “marathon” (~28 miles) or run a loop around Clopper Lake to complete a 50k. Race Premiums: The registration fee does not include a race shirt. At this time, shirts are no longer available for purchase. You will receive something for crossing the finish line. Unfortunately, we are unable to offer refunds or bib exchanges if you change your mind — even if the race is canceled or moved due to weather. Race Cancellation: As this race is in March, the weather is very unpredictable. In the past, we’ve had some weather incidents which have interfered with the race plans. In the event of inclement weather, we will make the tough decision to cancel the race if the weather conditions are dangerous. We do not take this decision lightly and are concerned about the safety of the runners and volunteers. We will try to cancel the race as soon as we know. The health and safety of our participants, volunteers and the community at large, are the overarching criteria we will follow in deciding whether a race should be canceled. All participants are urged to check the race website in the days leading up to an event for the most current event conditions and updates. Refunds: We do NOT offer refunds of race fees regardless of your situation or weather conditions and no rain date will be scheduled. Bib Transfers: do to the large number of runners, we cannot accept bib transfers. What’s not included in registration? Food for a family member (s), friend (s), crew member (s), etc. who may be out on the coarse all day supporting you. You can purchase a meal ticket for $5.50 here so that they can eat as well. 1) Just like our race registration, meal tickets are non-refundable. 2) Anyone NOT running the race who would like to eat, must pre-register for a meal ticket. The online store closes down on February 25th & no meal tickets will be sold on event day — please understand that we must pre-plan for everyone who will be eating that day. 3) We will not be sending out actual meal tickets before the race. Your purchase confirmation will be the only thing that you will receive. That – and our volunteers will have a list of names. Awards: There will be NO AWARDS for age groups, etc. You will receive a finisher’s premium after crossing the finish line. Weather: March weather is unpredictable, please check the forecast and come prepared. Directions: From I-270, exit at Clopper Rd W (MD 117). Proceed about 2 miles to the Seneca Creek State Park entrance on your left. Parking: Following signs to the race parking after you pass the gatehouse (turn right, then go 3/4 of a mile to sign for Nuthatch & Bluejay). Parking will be at the parking lot at the Nuthatch Pavilion and along the entry drive. Please follow the instructions of the parking volunteers. Please consider carpooling. Packet Pick-up: Packet pick-up begins at 6:30am and will be race day morning at Nuthatch Pavilion at the starting area. The Chip: Please ensure your bib is visible on your front at all times during the race. Course Maps: Please check out our course maps (Google, Strava, HelloDrifter, Jpeg image) – with markers for parking, start, aid stations, decision point (marathon vs. 50k), and finish. The course will be single track dirt trails on rolling hills, with a total elevation gain of ~ 2200ft. Please note the “marathon” is closer to 28 miles. Expect mud, ice, rocks, roots, and slick crossings – be careful! The marathon & 50k runners will start at 8:00am. Individual runners choose at the decision point (~27.7 miles) to opt for the “marathon” (~28 miles) or run a loop around Clopper Lake to complete a 50k. After 3:25 pm, the 50k option is no longer available at the decision point, and all remaining runners are diverted for a “marathon” finish. Cut-off Times After 3:25 pm, the 50k option is no longer available at the decision point, and all remaining runners are diverted for a “marathon” finish. Cut-offs will be strictly enforced. Passing other runners and trail users –if someone is trying to pass you from behind please step off to the side to allow them to pass. The runner from behind should give a polite warning such as “on your left” and kindly move to the left to let them by. Please thank the volunteers – Without them, we wouldn’t have this great race for you to run! Their hard work and dedication are very much appreciated. Do not litter – Either carry your trash or leave it at the aid stations. We are operating under permits from and litter could threaten the acquisition of permits in the future. Unknowingly we drop things, so PLEASE, if you see someone else’s trash, please pick it up. Littering along the trail will be cause for disqualification. Aid Stations: Spaced every 5-8 miles, with water, snacks, and lemon Gatorade. This is a cup-free event – runners must bring a water bottle. Bibs & Timing: We will use chip timing. The chips will be taped to the back of your bib — please remove and fasten it to the laces of one of your shoes. Water bottles: Every runner is expected to carry their own water bottle. The aid stations will not have cups. Drop Bags: We will allow 1 bag drop at the Berryville Road aid station. Please place bags on the tarp beside the registration table and they will be transported by our volunteer crew. Put your items in an easily recognizable bag of your choosing CLEARLY marked with your name (easily identifiable makes for easily retrieved). Headphones are discouraged on single-track trails. It makes it difficult to hear people or animals coming up behind or beside you. Injuries – Inform another runner that you are injured and ask that they notify race officials at the next aid station or checkpoint. Please stay on the designated trails – The trails were constructed to eliminate erosion, protect vegetation and keep soil on the trail. DNF’s: If for any reason you find yourself unable to finish your race, please make your way to the nearest aid station and let the volunteers know so we can get a ride for you back to the park. To account for all runners – please give your bib & chip to the aid station volunteer if you drop. Spectators: Crew, family, and friends are welcome in the park. There is very limited parking for spectators at Black Rock Mill and Berryville aid stations. Please no spectators at the 118 crossings. Pacers are not allowed. Post-Race Picnic: Food and drink will be provided at the finish (Nuthatch Pavilion) for runners and volunteers. A limited selection of food will be provided for spectators as well — spectators please honor this limitation to keep food available for late-finishing runners. Results and Photos: Results and free high-quality photos are typically available on Facebook website after the race.